Now our same great Rubber Jar Openers are available in EZ Grip Vinyl. 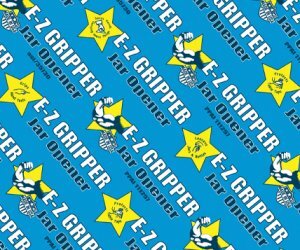 EZ Gripper Vinyl Jar Openers are softer and stronger - gentler on the hands - yet provides superior gripping power. Your personalized advertising message will print more vibrant on these Vinyl EZ Gripper Jar Openers. 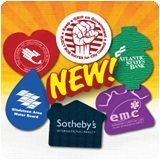 For an indestructible advertising message, advertise your business on these Vinyl Jar Openers. Gripping proof that marketing works. Proudly made in the USA! Our promotional vinyl jar openers have many uses - use to triple your strength! In addition to the many years of promotional exposure, every time they are used it leaves a positive impression. Call (706) 374-0710 for a FREE quote. Put our years of promotional and advertising experience to work for you! Vinyl jar openers are shipped in individual polybags at no additional cost. Clear front shows off your image! Contact us at - (706) 374-0710 - if you need a larger Jumbo size jar opener or a smaller more economical size jar opener. 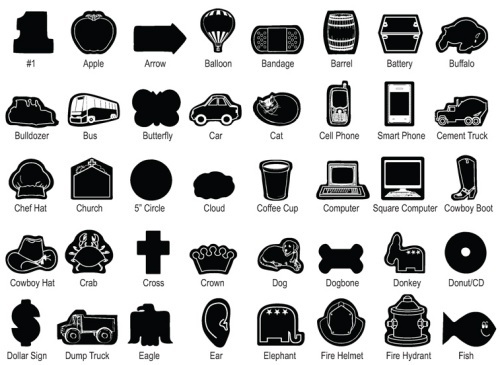 Custom shapes are also available for additional charge. An additional $40 non-refundable artwork layout charge must be paid before work can begin. Customers love receiving something for nothing. Why not give them something useful - a product that can be used in the kitchen, utility room, tool room - anywhere! And your name will be on their mind every time they use it! Effective advertising promotional product with many uses to keep your name, campaign or company visible. After your name is impressed upon the mind several times, the person soon memorizes your name. 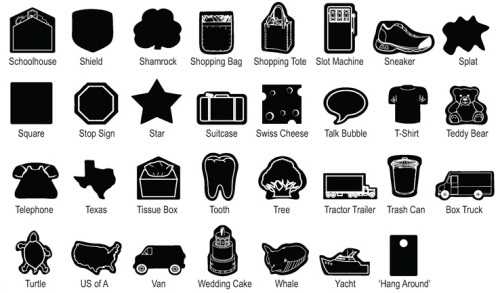 Choose from one of our many different shapes available. 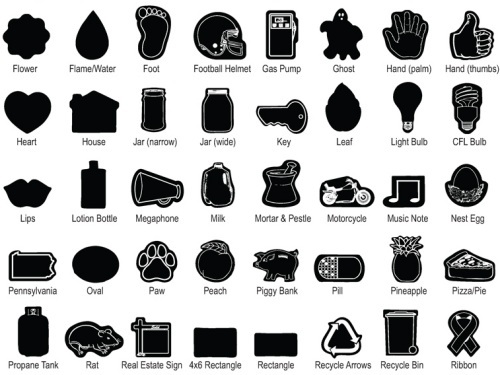 Available Shapes, give us a call - (706) 374-0710 - for other options and a free quote. We have many colors of vinyl available to select from for our EZ Gripper Jar Openers: blue, navy, white, red, green, lime, yellow, orange, pink, purple, teal, tan, black or burgundy. Available custom imprint colors are black, reflex blue, red, green and burgundy. White ink available on dark vinyl colors. This is a product they will never throw away. The use of the jar opener will constantly keep you focused in their mind. For a smaller version with same great strength, be sure to check out our NEW Nail Polish Bottle Openers that are also convenient to use as a water bottle opener. And don't forget about our great original Rubber Jar Openers too.